I’ve been thinking about this chart a lot lately. as a colleague across the district? as a liaison to district office staff? as support personnel to site administrative staff? as an ambassador to parents? 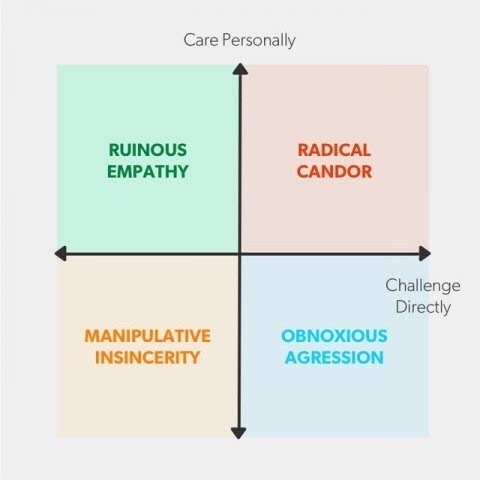 That sweet spot in the upper, right corner of the chart (“radical candor”) is crucial, in all aspects of education. But, what does that look like?